For five seasons, Once Upon A Time has featured many twists on familiar stories—some refreshing and fun and others...well, not so much. Lately, I've been rewatching the first and second seasons and contemplating some of the things I loved most about them. In the spirit of nostalgia, I'll be talking about eight of my favorite plot twists (in no particular order) from the first three seasons. 1.) The Dark Curse was created by Rumpelstiltskin to find his son. Every season the characters are up against some curse or another, but the one that started it all is the Dark Curse, which took away the happy endings of so many characters by removing them from their lands, taking away their memories, and trapping them in Storybrooke, Maine. As the story unfolded, it was revealed that Regina got the curse from Rumpelstiltskin, who had created it for the purpose of reuniting with the son he had abandoned. 2.) August W. Booth is Pinnochio. Watching season one, it was easy to want August to really be Rumpelstiltskin's son, Baelfire. And for a while, that seemed to be the most likely case. But in the episode “The Stranger,” we find out that he is actually the son of Geppetto. This twist stands as one of my absolute favorites. I wasn't expecting it, and it was one of the most emotional storylines from the show. 3.) Rumpelstiltskin is the Beast. In the history of the show, one of the most recognizably “Disney”-ed episodes (and storylines) is episode 112, “Skin Deep.” This episode introduces the familiar Princess Belle and reveals that the Beast of this story is none other than the Dark One himself, Rumpelstiltskin. Lots of iconic moments and items from the Disney movie are referenced throughout this episode, which makes for some fun throwbacks. 4.) Peter Pan is Rumpelstiltskin's father. One of the most compelling elements for season three's Neverland arc was the conflict between Peter Pan and Rumpelstiltskin. My theory was that they were brothers. As things turned out, Pan is Rumpelstiltskin's father and abandoned him in exchange for eternal youth. Hello, parallels. 5.) Rumpelstiltskin is also the Crocodile. Rumpelstiltskin has many connections to Neverland, but one of my favorite twists is the reveal in 205 that he is the Crocodile from Peter Pan. It was an interesting way to introduce Captain Hook and create tension between an established character and a newly-introduced one in season two. 6.) The Mad Hatter was a portal jumper. In episode 117, “Hat Trick,” a mysterious, threatening character named Bucky Barnes Jefferson enters the scene. Turns out he's the Mad Hatter—but before he went mad after being separated from his daughter, he was a portal jumper who struck deals with Regina, Rumpelstiltskin, and Dr. Frankenstein. 7.) Baelfire is Henry's father. This was one of my favorite theories, even before the show began to hint at this being the truth. While I personally wasn't a fan of Neal, I was a fan of Baelfire and Emma meeting each other in this world, given that the Dark Curse was focused so much around the two of them (as the purpose behind the curse and the one who could undo it). 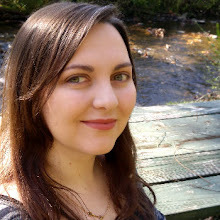 During the first two seasons, this plot mechanism mostly added emotional depth and resonance to some of the storylines (such as the search for Baelfire and the fallout Rumpelstiltskin would face for his actions during that search). While in later seasons this plot mechanism has gotten rather comical, it worked well within the frames of the first two seasons and even into parts of season three. 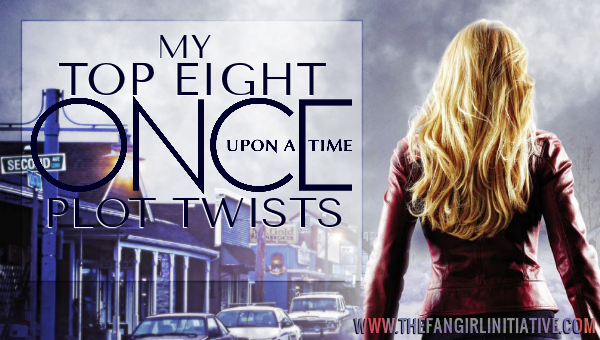 What are your favorite plot twists from Once Upon A Time?